CALZADOS FERNANDO GARCIA, S.L., provided with NIF/CIF B82213729, Clara Del Rey, 39 P-327, 28002 Madrid (Madrid – Spain), cannot assume any responsibility derived from the incorrect, inappropriate or illicit use of the information appearing on the Internet pages of ww.hipluspremium.com. Within the limits established by law, ww.hiplus.com does not assume any responsibility for the lack of veracity, integrity, updating and accuracy of the data or information contained in its Internet pages. The contents and information do not bind ww.hiplus.com nor do they constitute opinions, advice or legal advice of any kind as it is merely a service offered for information and divulgation purposes. The Internet pages of ww.hiplus.com may contain links to other third party sites that ww.hipluspremium.com cannot control. Therefore, ww.hipluspremium.com cannot assume responsibility for the content that may appear on third party sites. 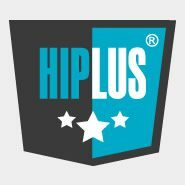 The texts, images, sounds, animations, software and other content included on this website are the exclusive property of ww.hiplus.com or its licensors. Any act of transmission, distribution, assignment, reproduction, storage or public communication in whole or in part, must have the express consent of ww.hipluspremium.com. Also, to access some of the services that ww.hiplus.com offers through the website you must provide some personal data. In compliance with the provisions of Regulation (EU) 2016/679 of the European Parliament and of the Council of 27 April 2016 on the protection of individuals with regard to the processing of personal data and on the free movement of such data, we hereby inform you that, by filling in these forms, your personal data will be incorporated and processed in the files of CALZADOS FERNANDO GARCIA, S.L. in order to be able to provide and offer you our services and to inform you of improvements to the website. Likewise, we inform you of the possibility of exercising your rights of access, rectification, cancellation and opposition of your personal data, free of charge by email to sales@hipluspremium.com or at the address Clara Del Rey, 39 P-327, 28002 – Madrid (Madrid – Spain).